'The original Avondale Lunatic Asylum building, now the Faculty of Architecture and Design was constructed from 1865 to 1903. Other old buildings date from 1897. During the long tenure of the site as a mental hospital, numerous trees were planted as ornamentals, hedges, and in fruit orchards. Much landscaping work with trees and shrubs has continued over the last thirty years. 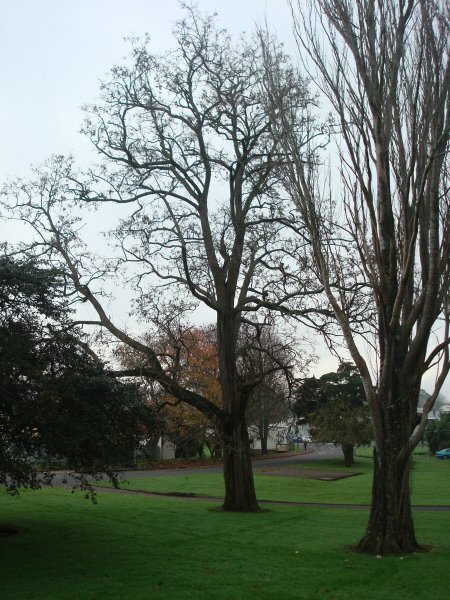 While most of the tree species are comparatively commonplace, there are some individuals which come into the "monumental" or "notable" category, being exceptionally fine specimens or of unusual species for Auckland. Noteworthy in this regard is a collection of old trees surrounding the present Students Services Centre where may be found magnificent examples of jacaranda (Jacaranda mimosifolia), Brazilian coral tree (Erythrina crista-galli), Japanese tan-oak (Castanopsis cuspidata), camphor laurel (Cinnamomum camphora) and ginkgo (Ginkgo biloba). Other interesting trees are silver maple (Acer saccharinum), several large Turkey oaks (Quercus cerris) the biggest one in front of Building 81 and two exceptionally large camphor laurels in the grounds of Penman House (Building 55) near Entry Four. The oldest building on the campus, the original mental hospital, has several trees and shrubs of interest including holm oak (Quercus ilex), several sweet gums (Liquidambar styraciflua), and flourishing specimens of the chaste tree (Vitex agnuscastus) and pigeon berry (Duranta erecta)'. The above excerpt is from a newsletter of the Mt. Albert Historical Society Inc. and was written by Mike Wilcox. There has been recent road construction beneath the canopy of part of this tree. 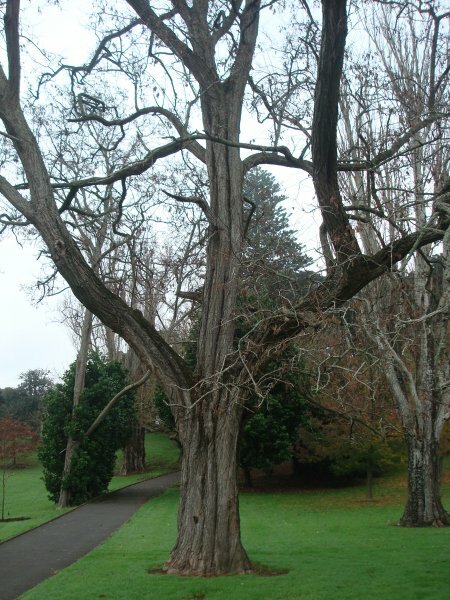 One large lateral branch rises high into the canopy of this tree, competing for light with the other central trunk. 18 Jun 2011 VanWijngaarden, J. 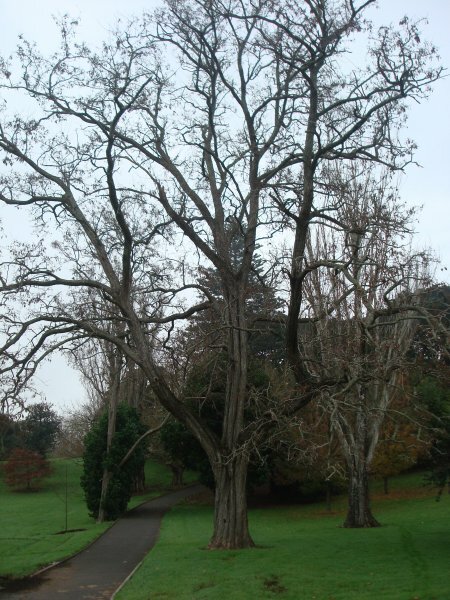 The tree is located adjacent to footpath and the ring road, just south of building 37-40.